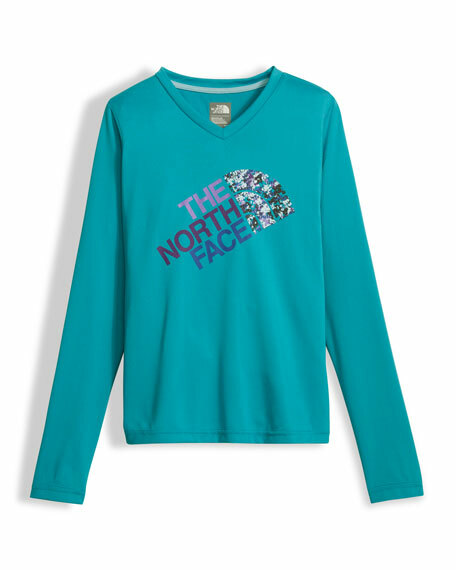 The North Face "Reaxion" tee with FlashDry moisture-wicking finish. Multicolored and sequin logo detail. For in-store inquiries, use sku #2333815.